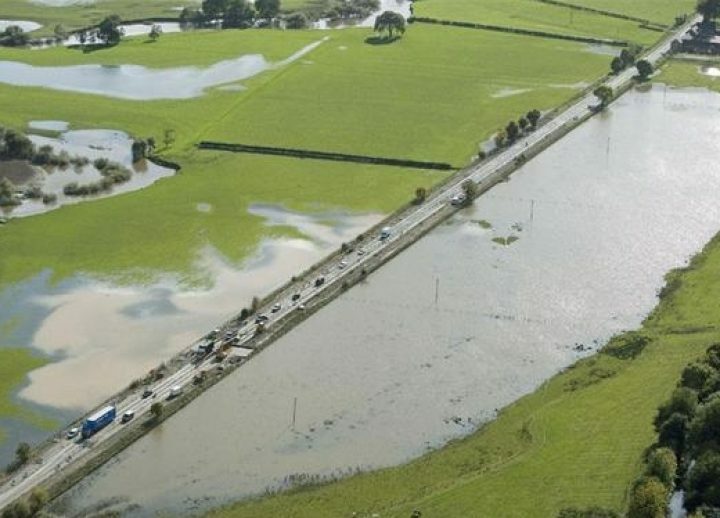 The scheme involved raising the level of the single carriageway road to a level above the one in one hundred year flood level over a total length of 900m. 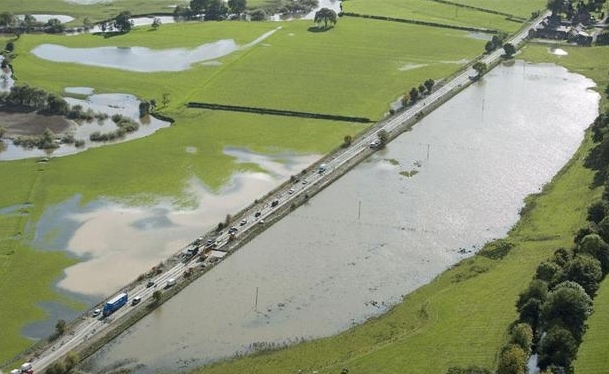 Prior to the works this section of the A483 Trunk Road was prone to flooding several times a year when the adjacent River Severn flooded. The maximum height the carriageway was built up was 450mm. In addition to raising the level of the road, 3no. 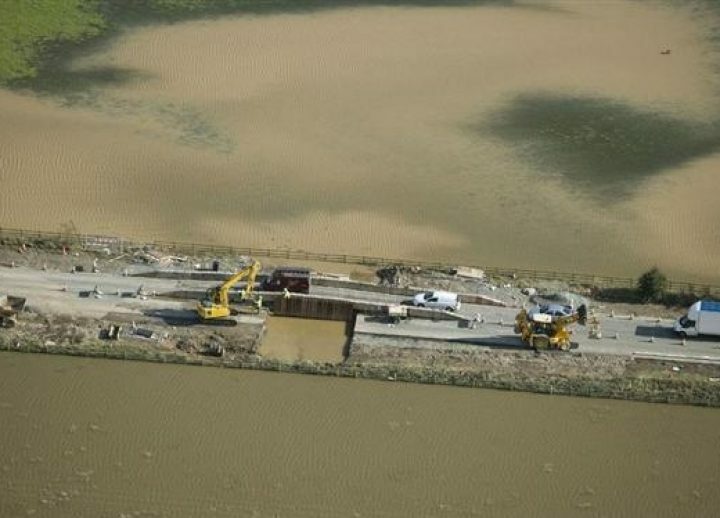 twin precast concrete box culverts were installed across the carriageway at specific locations to allow flood water to ‘balance out’ either side of the road. 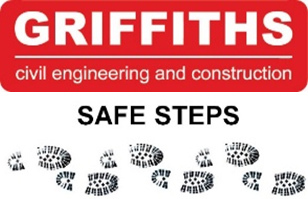 Other associated works included earthworks (filling verges and topsoiling), kerbing, fencing, safety fencing, waterproofing to structures, surfacing and road markings. The works were carried out whilst maintaining traffic flow along the Trunk Road. This involved traffic management comprising single way working using temporary traffic lights and convoy working. Traffic speeds were temporarily restricted to 30mph (10mph for convoy working). 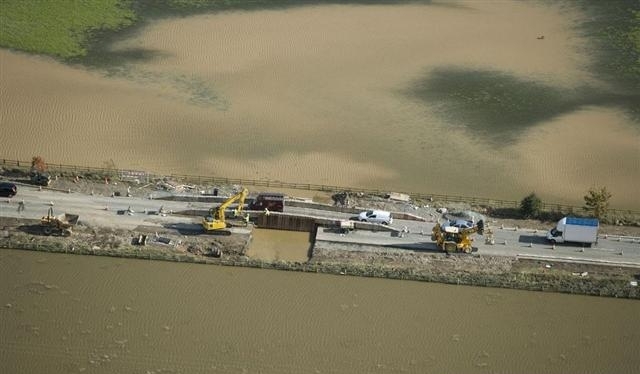 Works were completed on programme despite being flooded on several occasions during the construction phase.